an adorable New Year's Eve outfit! Create a holiday craft with your little one. 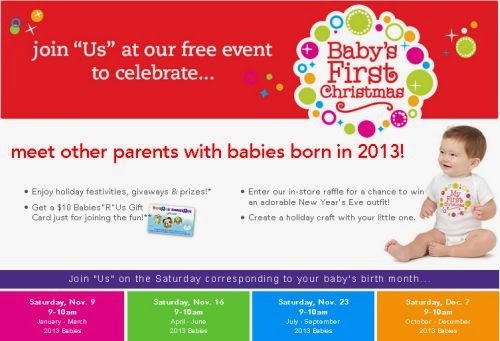 Click the link below to go to the Babies R Us website to get the details of this free event.